The big free-tailed bat inhabits rocky country, where it roosts in crevices high up on cliff faces. This bat leaves its roost late, when it is quite dark. As the species is incapable of hibernation, the northern populations are believed to be migratory. 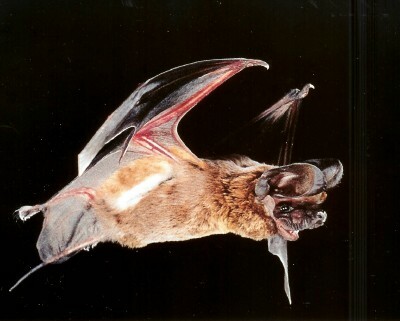 This bat is a fast and powerful flier, and after the young are weaned, individuals may appear hundreds of kilometers beyond what seems to be the usual range. When foraging, the big free-tailed bat usually emits a loud piercing chatter. Parasites include bat bugs and fleas. Females, who give birth to one baby in June or July, form maternity colonies. The species is uncommon throughout most of its range.